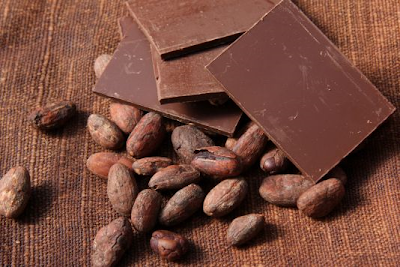 Stretching the One Income Dollar: Dec 13th is National Cocoa Day! Dec 13th is National Cocoa Day! 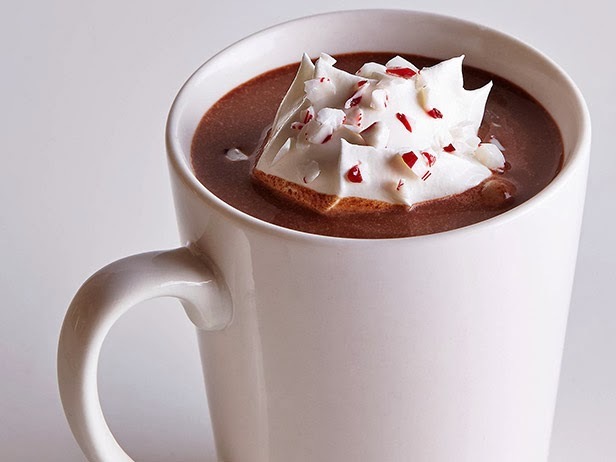 Romeo and Juliette ,as well as peanut butter and jelly, are not as great of a paring, as hot cocoa and winter. Dec 13th is National Cocoa Day, so make sure to enjoy it any way you like. Hot chocolate, in a great piece of chocolate, etc. I'd recommend a fireplace, hot chocolate and a good book. At Cocoa Canard, they really wanted to create something unique and different and at the same time traditional. 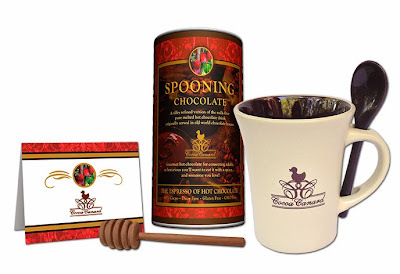 The first item is their Spooning Chocolate hot chocolate drink which is totally unique. Sometimes, you just want that deep rich chocolate taste and not a whole meal. The beauty of the Spooning Chocolate is that you can mix it in a small amount of water right in the cup to give you one of the finest hot chocolate drinks you will ever drink and perfect to go with meals or a nice little afternoon delight! Cocoa Canard is a perfect addition to National Cocoa Day! Heat the milk and vanilla in a medium saucepan over medium heat until hot and steaming. Combine the sugar, cocoa powder, chocolate, crushed peppermint and salt in a bowl, then whisk into the milk. Reduce the heat to low and simmer, stirring, until the chocolate and peppermint melts and the cocoa thickens slightly, about 2 minutes. Divide among 4 mugs, top with dollops of whipped cream. Sprinkle with crushed peppermint and serve each with a peppermint stick. A great way to celebrate National Cocoa Month during this chilly time of year is with Swiss Miss hot cocoa! Swiss Miss hot cocoa mix is made with real, fresh dairy milk from local farms. The milk is delivered daily, dried and blended with premium imported cocoa. They offer a variety of flavors and now you can enjoy Swiss Miss—in your Keurig® Single-Cup Brewer. For more information on Swiss Miss hot cocoa, please visit swissmiss.com.